You may already have one or two dental crowns already or you learned that you are in need of one. These dental devices are an integrated part of many cosmetic or restorative dental treatments and their benefits are tremendous and long lasting. But if you are going to choose our dental crowns Lauderdale by the Sea FL interventions, here are some things you need to know about us! This may come as a surprising statement, but you should know dental crowns come in various materials, each with their benefits or drawbacks. Once your dental crowns Lauderdale by the Sea FL specialist decided you need a dental crown, he will recommend you one that is biocompatible, has little to none drawbacks, is perfectly manufactured by a certified laboratory we trust, and is cemented in place by an experienced professional. We work only with the latest and best materials, equipment, and procedures, trademarked surfaces, and products. This is why our crowns are durable and resilient to time, wear, and tear and why our patients praise us for our impeccable services. Dental crowns are usually the last step of a more complex treatment. 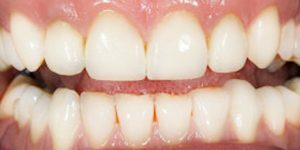 Sometimes they are used just as a cosmetic solution to cover a discolored / stained tooth, but most of the times they represent the end-result of a dental implant intervention, a large cavity filling, a bridge placement, a tooth restoration process when the tooth is so broken it needs to be covered by a crown. If you choose our dental crowns Lauderdale by the Sea FL treatments you should know we offer all dental services under one roof. From diagnosis to oral surgery, from simple cavities fillings to oral cancer screenings, you will be assisted by our team of professionals. Our doctors have nearly 60 years of combined medical practice; they are specialized in plenty of dentistry areas and they get permanent training and education in modern dentistry as well. In other words, no matter what dental problem you have (that might get ultimately solved with a dental crown), we will solve it for you without wasting you time, money, and effort. Due to our skills and hi-tech procedures we are able to offer each patient fast and efficient dental service. Our dental crowns Lauderdale by the Sea FL services are also affordable because we work closely with you to find you the best financial solutions.